Corkery was founded by approximately 100 Irish families from County Cork immigrating to the region in the early 19th century, locally known as the “Peter Robinson settlers”. The first church in the village was built in 1837, although some reports put it at 1824 which would make it the second-oldest Catholic church in Ottawa. Construction began in 1864 on a stone church meant to replace the wooden structure. This was consecrated as St. Michael’s Catholic Parish in 1865. The parish operated in debt for nearly two decades, until Rev. Patrick Corkery became minister in 1884, and spent the next twenty years improving and renovating the church. 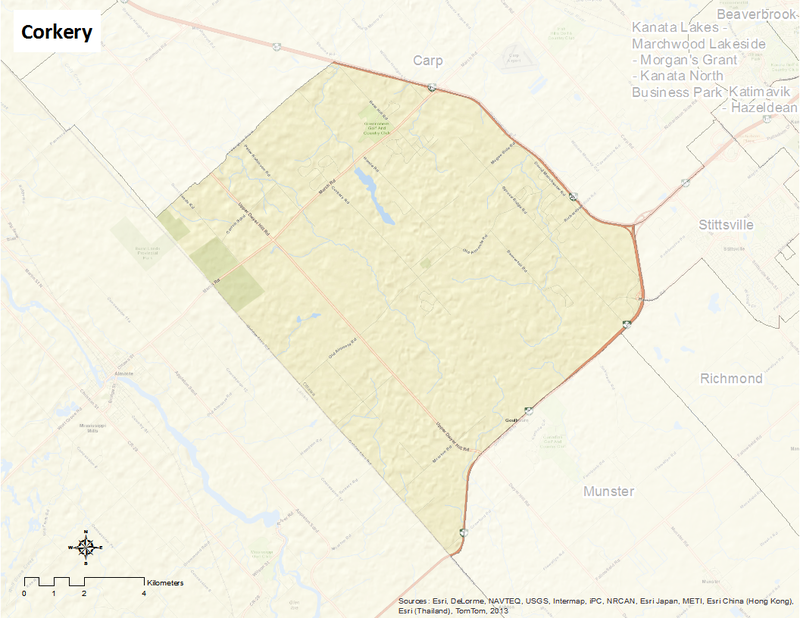 Today, Corkery is a dispersed rural community in the former Township of West Carleton (now West Carleton-March Ward) in the western part of the City of Ottawa. There is an active community association. Here’s an infographic that describes the neighbourhood as a Village of 100 (2011 data).